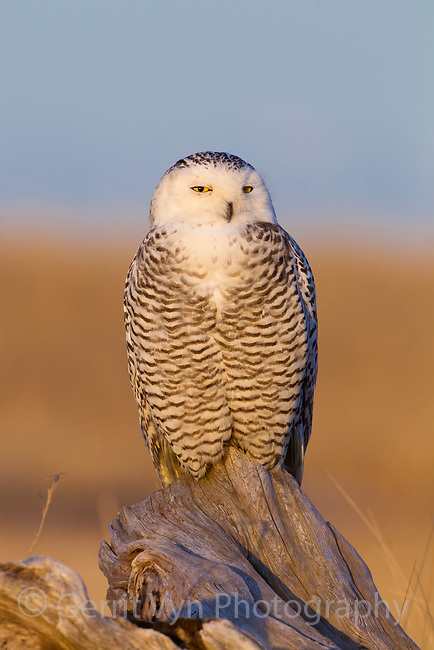 Snowy Owl (Bubo scandiacus) perched on coastal driftwood during the southward irruption of the species in 2011/2012. Grays Harbor County, Washington. December.